And now on to the cream that raised the most interest last week on my Instagram feed. Designed as a regenerating moisturiser so essentially everyone, but particularly maybe for those concerned with signs of ageing/anti-ageing. Apply as a normal moisturiser. Here’s the thing. It’s a really lovely cream. It moisturises, softens, makes makeup application a dream and having played with it, is suitable for all skin types. It has a similar bouncy texture to the Body Shop mask – not as bouncy, but it’s not runny. And it’s completely reasonable at £25.00. If you have no concerns about animal extracts and aren’t vegetarian/vegan you will love this cream. It is really good. I’m neither vegan nor vegetarian and yes it feels hypocritical from someone who wears leather etc but I can’t get past the fact that it’s essentially 75% dried out and ground up starfish. 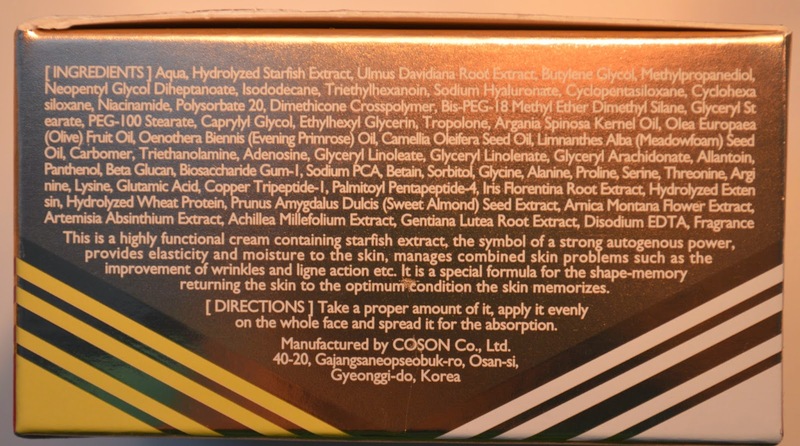 It obviously plays on the fact that starfish regenerate their limbs and thus it may stimulate your own skin. It has to be said though that expecting something that has been dried out, ground up and hydrolized to have a stimulating effect on your collagen is the same as calling a Pringle a crisp. Apparently starfish are culled in South Korea due to the rate at which they procreate and can inhibit shellfish farming etc. They are collected and exterminated as pest control. It still freaks me out a little though. As I said, if you have no concerns with that, it’s a lovely cream. If the thought makes you feel a bit ‘EEEWWW’, maybe this is not for you. 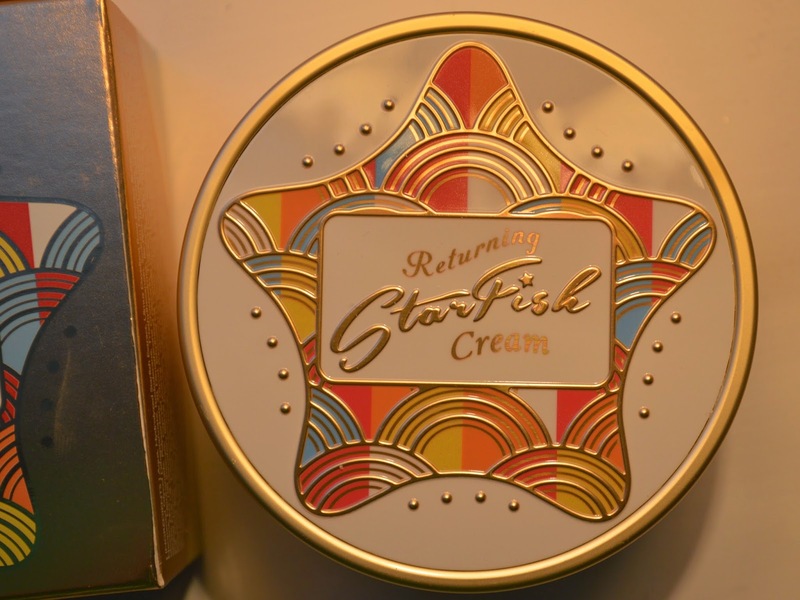 Mizon Returning Starfish Cream is £25.00 and available here. Next Post My BIGGEST EVER GIVEAWAY.